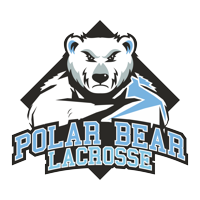 2018-19 Marks Polar Bear Lacrosse 16th Season! Play outdoors on Sundays with your teammates, full field games, and certified officials. Players are assigned to teams by the school they attend. If your school does not have a full team, players from the same school are kept together and are assigned to teams by the positions they play. Athletes are placed in the division that best suits their age and playing ability. Polar Bear Lacrosse League is open to boys and girls in the Grades 1-12. Eight games over four weekends plus a championship! Nine divisions to ensure you are placed on a team that best suits your age and playing ability. Players must have at least one year of game experience to enroll in the Polar Bear League. Players with little or no game experience will be placed in the CUB Division. The Polar Bear Cub “learn to play” division is open to both boys and girls in Grades 1-8. LOCATION LOCATION... LOCATION... LOCATION... this winter ALL Polar Bear games will be played at the centrally located Matthews Sports Plex on 9 turf fields - all games guaranteed! COST Cost: $195 per player (plus applicable credit card fees).